A phased payment agreement can be agreed with the hostel for groups booking several months in advance or for prolonged periods but a security deposit is required to hold any group booking. List of names of group members is required by law. No alcohol is allowed in the hostel at any time. Group leader must be identified for all dealings with hostel in the event of any situation arising. Deposit to be paid 1 week after booking and full payment to be made 4 weeks before arrival. Security deposits may be required for some groups. Whether it's B&B, Self-Catering, or Hostel type accommodation for Individuals, Families or Groups, Clare's Rock has something for everyone. 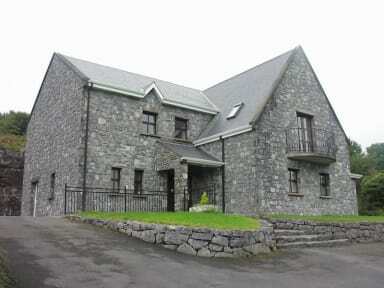 In the peaceful surrounds of the Burren we can guarantee an enjoyable stay, in clean and comfortable ensuite rooms. 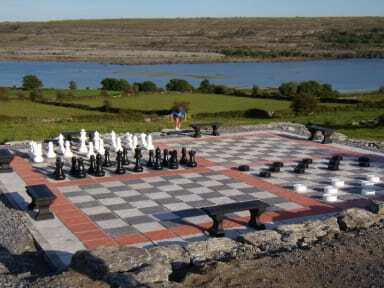 The only Hostel in the High Burren, it is located in the village of Carron/Carran, on The Burren Way, and is central to many of the best Walking trails, including the Carron loop, The Nature reserve at Mount Carran, and the Mulloughmore National Park. Maps and information of all the Burren walks are available at the hostel and are free to residents. Clare's Rock is within walking distance of all the major attractions including Poulnabrone Dolmen, Caherconnell and Cathair Chomain stone forts, The National Park at Mulloughmore, and are only a short drive from Aillwee Cave and The Cliffs Of Moher. The Cusack centre is only a few minutes walk away. After your day in the Burren you can cook in our kitchens or eat at the local pub/restaurant. A light breakfast can now be included on request after booking or on arrival at the hostel. Price for 2019 is €4/person. Hostel has a games area which include pool, air hockey, table soccer and giant connect 4. Outside we have a home made version of mini golf, giant chess and checkers. All games are free of charge to guests.